Another thread suggested that Iron Fist would be a great Adamantine Arrow Story. I had to say that, watching Jessica Jones, Killgrave struck me as the perfect example of a Mastigos mage who is abusing his Mind power way too much. One can say that he might be a great candidate for the Seers, but he can just as easily be any mage falling to hubris. Any thoughts? I think that having the power to get almost anything you'd want as an ordinary person, but having your style cramped by a whole society of people with comparable and often even more power is a feature of the setting. Kilgrave doesn't act like a Seer of the Throne or a member of any order, but as an awakened mage, he'd just have to deal with them somehow. Perhaps a lot of Mastigos Seers would act more like Kilgrave if they were left to their own devices, but they're not. Last edited by Spencer from The Hills; 12-04-2018, 11:31 PM. Definitely a solitaire, he's never seemed to particularly like groups that aren't slaves to his will. If he became a Seer he'd likely get bumped off by another. His attempts to control folks like Kingpin and Dr. Doom usually fail. No, if Kilgrave were a mage, it's kind of obvious he's a solitaire. A friend of mine and I once had a conversation about what Kingpin would do if he knew about Kilgrave and feasibly had an opportunity to try and use him. We ultimately figured there was an answer of Kingpin basically not touching it because there's no real keeping control of Kilgrave for him. 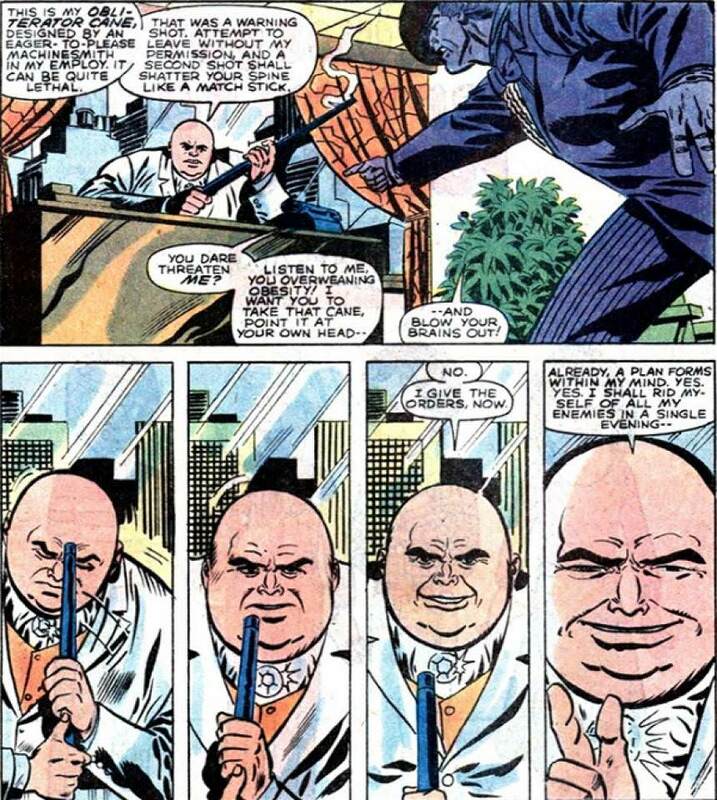 In the mage argument, regardless of if Kingpin is a Seer or Throne(depending on how your read him and whether we're talking Season 1 or after), the reaction speaks to how organizations respond to Kilgrave's mentality-In Mage terms, Kilgrave's the sort of person who would happily go Scelestus once he realized he's no longer quite the top dog (What he did in response to realizing he can't control Jess anymore is proof enough of that), and most everyone else can read that in him. To necro the thread as well as get back to the original question: Imo, if a Seer of the Throne is going around all Killgravey (which is totally a verb) then he's bad at being a Seer. They typically prefer to use non-magical means whenever possible because it reduces risk of exposing the Lie. Basically, other Seers would see him as brutish, unskilled, and untalented. If he has to use magic to get people to do what he wants, then it's because he lacks the contacts, clout, and power to get things done without it. Not to say they don't use magic, they obviously do, but doing it like that would be... weak. Is Nameless and Accursed a Night Horrors book? It is. It's another book that follows the 2nd Edition idea of making those both a collection of ready-made characters and the place where to update and introduce antagonists for a certain gameline. Which is my way of saying we'll get both rules, updates and examples. On top of that, it allows you to make a pun on "ruptured". It's a name that keeps on giving. Pretty much. It really is just a name change - you'll get Rapt mechanics in Nameless and Accursed, and they've got a Fault, a magical savant ability, generate Tulpa, etc. With adjustments for second edition, of course, but 2e Rapt are closer to 1e Mad than many similar transitions. Last edited by Cinder; 10-23-2018, 07:51 AM. Is there a real difference between 1E Mad and 2E Enraptured? If no, why the change was done, if Mad was canon term? Is there any mention of the Bellerophon Group? It was a small thing, as far as I know, in 1e, an inter-Order group attempting to study and understand (and spread understanding of) the Mad. I used it in our game and was just curious if it was name dropped or expanded on. Last edited by Dave Brookshaw; 10-22-2018, 08:03 AM. Do pentacle mages treat Enraptured mages much the same way that they treated the Mad in 1ed? All mages have magic addiction. It's like a magic overdose. An Enraptured mage has hit Wisdom 0, so is no longer able to control her magic Her Gnosis has ruptured around an Obsession, which she now can't get rid of and subconciously creates magic effects to push herself toward. Anything touched by her nimbus can get these weird environmental effects, and she leaks magic so much her presence is covered by Quiescence - Sleepers forget her when she leaves the scene.